DAK’S SPICES – Salt-Free Seasoning Giveaway! FRIENDS! Have I got a TREAT for you! A kind reader recently wrote to tell me about a line of seasonings he’d discovered called DAK’S SPICES. Dak’s is an exclusively salt-free brand created by the husband-wife team of Drew and Karen Clark, who pride themselves on the incredible level of flavor contained in each and every one of their 15 seasoning blends. Whether you prefer an herby blend, something garlicky, citrusy, whatever – once you ditch the salt, you’ve got to find something to fill that chasmic void. For cooking, table-shaking, and more, you just can’t beat the taste and convenience of a great salt-free seasoning. I never miss an opportunity to sample a new salt-free seasoning. And neither should you! I’m here to share the news not only in readable but in edible form that Dak’s is delicious. Karen and Drew kindly sent a 6-pack of their most popular blends. I sampled three and was blown away by the different flavors. Original Red, the seasoning that started it all, distinguishes itself not as a standard herb-based blend, but as a deliciously spicy ground super-rub! Sprinkle it liberally as you would salt out of a shaker OR use it as a dry seasoning. Either way, it’s absolutely spectacular. Bright red and paprika-spiked, it works wonderfully as a stand-in for salt-free chili seasoning and more. Green Zest has a great garlic kick and delightful mix of herbs, making it a perfect choice as an all-purpose salt-free blend. And as its name suggests, Super Greek is a go-to blend for all things Mediterranean; an herb mixture with onion, garlic, and a high-note of mint. Lemon Pep, Blackened, and Steakhouse ! If you’re someone who loves meat, these are the blends for you! From fish to fowl, pork, beef, even eggs, these three salt-free blends will impress with their taste and quality. Don’t eat meat? No problem! From tofu to tempeh, bean-based chilis, lentil tacos or loaves, these seasonings make the meal. Herb and lemon-based Lemon Pep is a great choice to flavor everything from seafood to salads, roasted veggies, herb butter or dipping oils. It makes a wonderful stand-in for salt and can be kept on the table as all-purpose salt-free seasoning. Dak’s Blackened is a go-to rub for any meat or vegetarian protein. Its spicy flavor will enhance gumbos, soups, sauces, and more. And Steakhouse is as its name suggests a meat-maker. A top-notch blend of herbs with whole mustard seeds that absolutely POP with irresistible flavor. Add it to ground beef for the most flavorful hamburgers imaginable or rub into chicken or pork before roasting. Pure deliciousness! Giving up salt is like losing a loved one. You’ll never replace its taste, but you can find a tasty new partner to fill that void and make your healthy journey HAPPY! Dak’s delicious seasonings do more than just fill the salt-void, they encourage creativity in the kitchen and make you WANT to cook. They make food taste GREAT! What could be better than that? Maybe… 3 new salt-free seasonings, for FREE??!! YES! If you’d like to try Dak’s Lemon Pep, Blackened, and Steakhouse for yourself, simply leave a comment below letting me know! This free giveaway is open to all Daily Dish readers, regardless of physical location, and will be open now through Sunday, April 17, 2016. The lucky winner will be chosen at random and announced here and on Facebook first thing Monday morning. GOOD LUCK! This entry was posted in Low sodium products, Promotional Giveaway and tagged Dak's Spices, Salt-Free Seasoning. Bookmark the permalink. 82 Responses to DAK’S SPICES – Salt-Free Seasoning Giveaway! MMMMMMMM SALT FREE SEASONINGS. Yes please, I would like to try these! I haven’t found anything yet that has took the place of salt I would love to try these. 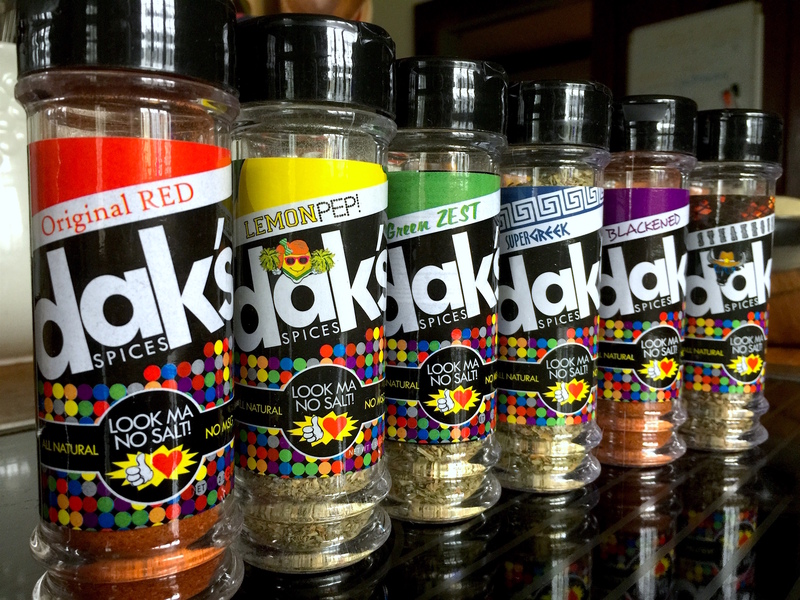 The question is…who wouldn’t want to try DAKS’s spices? I would love to try them! Sounds yummy! I hear you about giving up salt as feeling like a great loss at first. But especially with cool salt-free blends like this, I find that they actually boost my food more interestingly than salt! I’d like to be considered for the giveaway! Those sound amazing! I would love to win, thanks for the chance! I am always looking for salt-free spices and spice blends to add to my toolbox! I had to go lo-so back in 2010 when I was diagnosed with Meniere’s. Flavor without unnecessary salt is sometimes hard to find. Welcome to the market, DAK’s! Mrs. Dash and Frontier keep getting rid of some of my favorites. Don’t do that to a Ménière’s disease low salt plan! Would love to find new favorites!!!! I am so excited to try these! Always looking for a way to add some life to a dish without salt! I would love to try these!!! How awesome salt free!! I love it!!! the chance for FREE salt free seasonings is too good to pass up! Sounds good! Need more Lo-So choices! Yes! Yes! This sounds awesome! As a heart patient I am always looking for great new seasonings. Always looking for new salt free anything to try. Fingers crossed, hope I win! Thanks for the chance. Yes please, I would like to win the spices. Still looking for a terrific salt substitute. Thanks for offering this giveaway! My husband and I would love to try all of these! I would love to try these and be able to recommend them to my patients. Awesome sauce! Count me in! I would love to try these, they sound delicious!! Yum! I would love to try any of these! I would so love to try these pretty please. 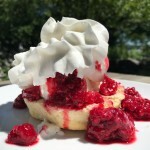 With a husband who has CHF, I am always looking for new recipes to try. Recipes that actually taste good. It’s a major and exhausting ssearch. It just seems like we have the same thing over and over again. I really need to try some of these seasonings. Always looking for new low sodium seasonings. Would love to try the seasoning.. I need all the help I can get. I don’t use a lot of salt as it is but what little I used , I miss! Can you find it in any store? I’ve actually never heard of them. 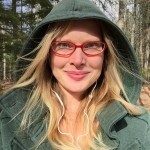 I had recently found your facebook page and started following along. I’ve use McCormick but never DAKS. I’d love to have some new sodium free spices! These sound amazing! low sodium is hard to stick to, trying something new would sure be nice! I would love the opportunity to win these as I have recently moved to the UK from Australia and low salt things are so hard to find. Thanks for letting me know about this range. Hopefully I will be able to get them online. Best wishes, Sarah. Winning these spice mixes would be the cat’s pajamas! Oooooh I would love to try these! Thank you for the wonderful giveaway. I have been on a low sodium lifestyle change for 2 weeks due to heart issues. OMG it’s horrible not having salt. Really looking for something good to replace it. Having been low sodium for 3 years , I am still on the hunt for new flavors to tickle my palate. I have heard these spice blends are awesome and would love to try them and share with others on the Low Sodium Cooking page of Facebook. Two years ago the Doctor placed me on 1500 mg sodium intake and 1400 ml water per day. Needless to say I really need more options for seasoning. Mrs Dash has been my go to, but getting tried of it. I have struggled to find salt free substitutes that I and my family would enjoy. How nice it would be to not have to cook my meal separate from the rest of the family. I would love to give these a whirl! Really hope I win. Not being able to have salt is so hard for me. Fingers crossed! Sounds great! Would love to try them! would love to try them please! Always looking for salt free flavors these sound great! Sure would love to try these no-salt mixes! Yes, please! I would love to spice up my life a bit! Salt free rubs and herb combinations continue to be a huge challenge! I’d love to win these spices. Living a salt free life is sometimes very hard. These would certainly add some extra spice to my life! Looking for alternative for other available lower sodium blends. Lemon Pepper is interesting as most others have some sodium. The ‘table shaker’ option is also great and rare. I am always looking for new sodium free spice blends to use in our daily food prep. It’s a real treat to have so many wonderful , unique flavors already put together for ease of REcreating recipes in to low sodium deliciousness! I would like to try these spices. I am not one for spicy foods, but I would use less on our food to get a bit of a zip. Would love to try these — been low sodium since a 2011 Meniere’s diagnosis. Low-sodium food and seasonings are so hard to find! Thank you for offering free samples! I am still finding my way with salt and low potassium cooking. Would love to try this new product. I would so very much love to try the seasonings! It would be a treat. Love to try before you buy. Thanks so much for the chance my fingers are crossed. I’m always looking for new salt-free seasonings to try and enjoy. Thanks for the possible opportunity. I would LOVE to try these!! They sound amazing!! Salt-free blackened seasoning sounds amazing to me, especially with grilling season right around the corner! These sound amazing! I would love to try them. Mmm, blackened chicken tenders. Dang, now I’m hungry. Congratulations, Tracy! And to all who entered, many thanks and very best wishes. If anyone is interested in purchasing Dak’s Spices, they’re offering a 10% discount to all Daily Dish readers as well as FREE shipping on all orders! Simply enter THEDAILYDISH in the coupon code box when checking out. Thanks so much! Click here to check out their line of seasonings! pleasesend me salt free seasonings. i am finding salt in everything. they have lowered my fluids and no salt absolutely. thank you so very much inadvance. will you send a list and pricelist.? Where can you buy DAKs? I have CHF & Meiners n DH has Severe CHF. Creative cookery in this house is the name of the game. Hi Kris! You can buy Dak’s online from their website and get a 10% discount as a Daily Dish reader. You also get FREE shipping on all orders! 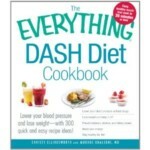 Simply enter THEDAILYDISH in the coupon code box when checking out. CLICK HERE to check out Dak’s Salt-free seasonings!